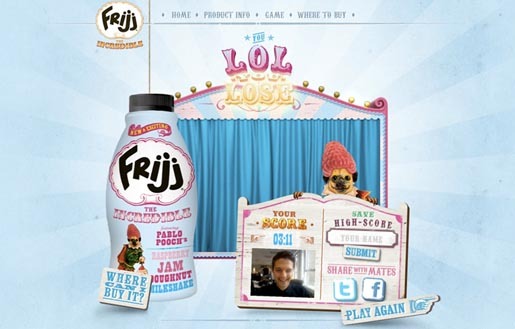 FRijj, the UK milkshake flavour brand, is running “You LOL You Lose”, an interactive challenge on line at frijjtheincredible.co.uk. The site pits players against the finest, funniest and FAILworthiest videos YouTube has to offer. 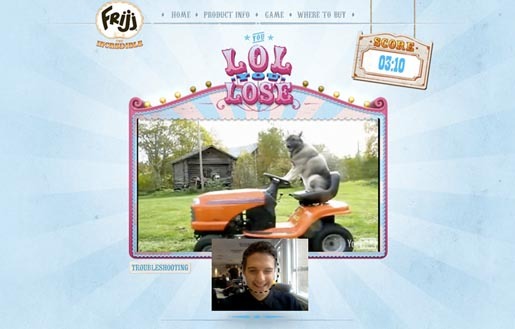 Using face recognition via webcam the site challenges viewers to watch videos without laughing out loud. 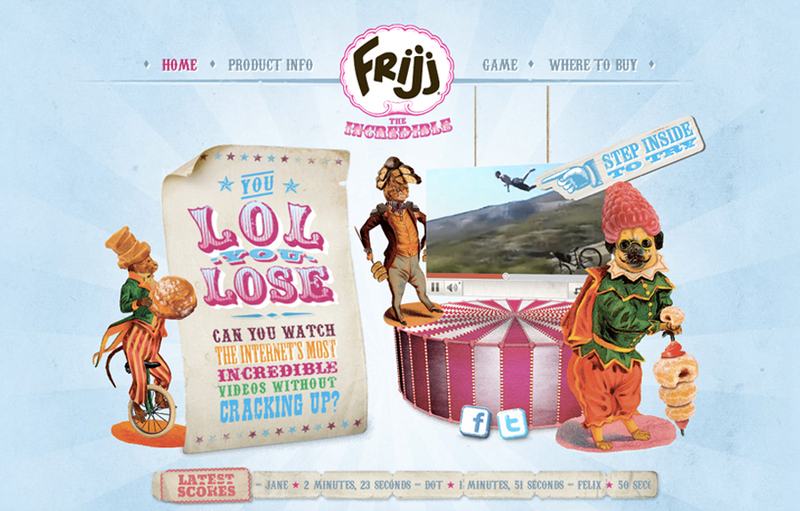 Three kinds of video, LOL, OMG and Cute, one for each of the new flavours: honeycomb choc swirl, jam doughnut and sticky toffee pudding. The game aims to help players build up their tolerance to the unexpected, so these brand new flavours don’t just knock them flat. There’s some smart tech in the mixtoo, re–calibrating the game for each player’s skin tone and the ambient light. The You LOL You Lose game was developed at Iris Worldwide, London.